Congratulations to Tiffany Sin for receiving the 2017 EMRA/ACEP Health Policy Award. Tiffany will be fully immersed in a 4-week health policy elective at the ACEP national office in Washington, DC to learn about legislative, regulatory, economic, and public affair issues that affect Emergency Medicine. Ms. Sin is from Palos Verdes, California, and earned a Bachelor of Arts in Integrative Biology and a Bachelor of Arts in Asian Studies from the University of California, Berkeley in 2008. 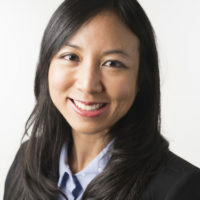 She earned her Masters of Public Health degree, specializing in Community-Oriented Public Health Practice, from the University of Washington in 2013. She is currently a fourth year medical student at A. T. Still University – School of Osteopathic Medicine in Arizona (ATSU-SOMA) and is based in Washington, DC. Ms. Sin is a staunch advocate for community engagement, health equity, and social justice. She founded the local chapter of the Asian Pacific American Medical Student Association (APAMSA) at her medical school. She also developed EMS education materials for underserved communities in Peru and Uganda as an active member of Capacidad, an Honors Global Health organization. She is pursuing a career in Emergency Medicine and is excited to become a community physician and leader. In her free time, Ms. Sin enjoys rock climbing, globetrotting, and eating the weirdest foods possible.